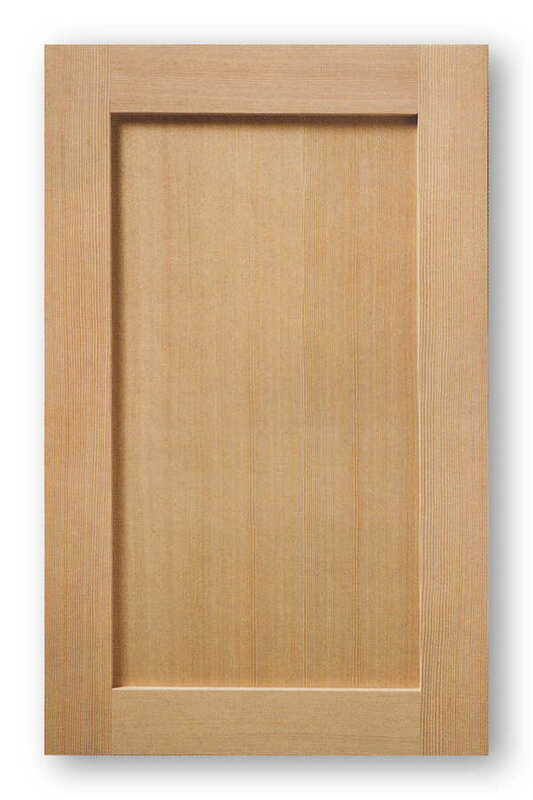 New Shaker Cabinet Doors: When Do You Need Them? At what point should you seriously consider getting new Shaker cabinet doors? In actual fact there are several reasons as to why you may be actively looking at changing the way your kitchen looks and doing some home improvement and if you want to alter the look of the room in next to no time, then getting new doors is one way to achieve this. By doing so, you will be saving yourself a lot of money and hassle compared to what would happen if you ripped out everything and started again. Instead, the job can be completed in a matter of hours, even with the most basic of DIY skills, and all of this without all of that upheaval, but when should you change them? The first reason is that the kitchen may look rather outdated as fashions do come and go even with Shaker cabinet doors and your kitchen. It is important to remember that the kitchen can often be the heart of the home especially if you entertain on a regular basis, so having one that looks old can certainly make you feel a lot worse about your entire home and not just this room. The type of wood that is used can change, the color of the wood, the design of the doors, all of these things can make a difference and result in you feeling that your kitchen is stuck in the past. There is no doubt that this can then become quite depressing, so why not keep all of the side panels and freshen it up with new doors that look amazing? Following on from the idea of the kitchen looking outdated, it is also a good idea to install new Shaker cabinet doors if you are planning on selling your home. By doing this, you can actually add some value to your home as it is known that a good looking kitchen is loved by potential buyers as they see that it is one big home renovation job that they no longer have to do. If your cabinet doors do indeed look old, or if they are over the top in their design, then change them for something new and slick looking to make it easier for potential buyers to see themselves socializing in the room. Clearly another major reason is due to them being damaged in some way and there are several things that could go wrong. First, if they were not treated in the correct way at the start, then some of the doors may warp and twist because of the heat in the kitchen and this will clearly pose a problem. This is actually made worse when you have previously gone for the cheap option as this moisture will work under the top layer of the door and start to make the veneer lift. Finally, there is also the fact that for some people they just get fed up of looking at the same thing every single day, so to save money, and to prevent boredom, it is also a good idea to just freshen it up by changing the doors and drawer fronts. As has already been mentioned it is also going to be cheaper than doing the entire room again and it will not interrupt your use of the kitchen while you make the changes. After looking at reasons as to why you should consider getting new Shaker cabinet doors, it is a good idea to quickly offer a couple of tips to help you when you get to the point of choosing new ones. First, do pay attention to the room itself and in particular the amount of light it gets, which means natural light, how many shadows are cast across the room, and finally the dimensions of the room itself. Why is this important? Simply because it should have an impact on the type of wood and the color of the cabinet doors that you install as the idea here is to make your kitchen not only look nice, but feel as spacious as possible. Choose a wood that is too dark in a small room and it will pull in the walls and make it feel too cramped, but choose too light in a large room with the wrong décor and it just fails to pull together into something that you love. In other words, there is more to it than simply buying doors that you like the look of as a great deal more thought has to go into it than you may have imagined. Obviously you do also need to ensure that the door actually ties in with the parts of the kitchen that are not being replaced, such as the sides of the units and the kick boards at the bottom, so get something that matches or your kitchen is going to look completely disjointed. After the color, you are also best to look at the design of the door itself as there are also a number of options available here. Clearly you can be as plain or as ornate as you like, but just as with the color it is important that you look around you in order to draw some inspiration as to the design of door that will be most suitable for your kitchen. Ideally, if you wish to have a traditional country style kitchen, then doors that have raised sections in the central panel could work well, whereas if you prefer a more modern look, then something plain and perhaps veneered with a nice looking knob for a handle would look fantastic. Do think carefully even about the type of handle that goes with the door as it forms part of the overall appeal, so obviously a traditional handle on a modern door would not only look strange, but ruin the entire look of the room. Those are just the main reasons as to why you should consider buying new Shaker cabinet doors and you can see that it is easy to justify the expense in the first place. Changing the doors can save you so many problems as you no longer have to worry about taking out the entire kitchen and re-installing everything. Instead, be sensible and hang those new doors and then proudly look at how good your new kitchen looks and all done in just a single afternoon.